Montgomery County police are trying to track down several suspects in connection with a violent attack inside a home in Aspen Hill, Md., Wednesday night. WASHINGTON – Montgomery County police are trying to track down several suspects in connection with a violent attack inside a home in Aspen Hill, Md., Wednesday night. 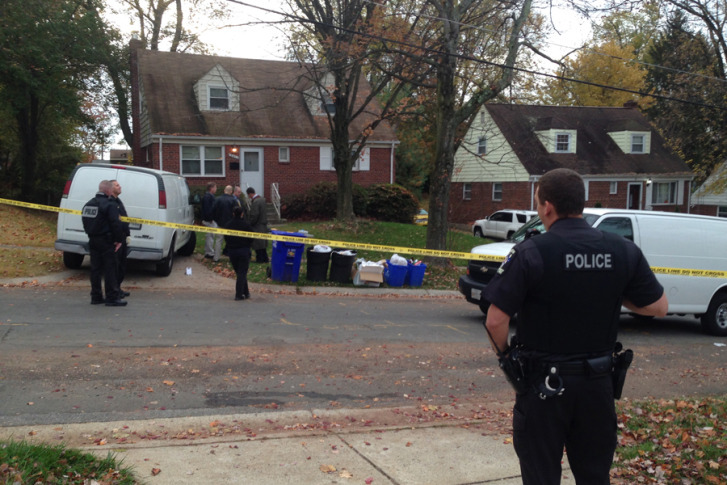 Police responding to a home in the 13000 block of Grenoble Drive “found several adult males inside the residence,” says Montgomery County police Capt. Jim Daly. “One of them had been shot,” Daly says. Alexander Benson Buie, 34, was pronounced dead at a hospital, and officers are still trying to piece together what happened. Daly says three suspects are responsible and at-large. Police say three men entered the home after knocking on the front door and then forced their way inside. All three had guns. The suspects confronted three men inside the home and at some point there was a struggle with Buie, at which point he was shot. Neither of the other two victims was hurt. The home is a crime scene now, but had a reputation prior to the shooting. The property is registered as a “Sober Living Home” with Intervention America. “There’s always a lot of unusual things happening there,” says neighbor Alma Paull. Black male, in his 20s, 6-feet tall, wearing camouflage pants with curly hair and a mustache. Black male, in his 20s wearing dark clothing. Black male, taller than the others, wearing all black clothing and a black bandana over his face. Anyone with information about this case is asked to contact detectives at 240-773- 5070. Tips received through the Crime Solvers program may be eligible for a reward of up to $10,000 for information leading to the arrest of those responsible.